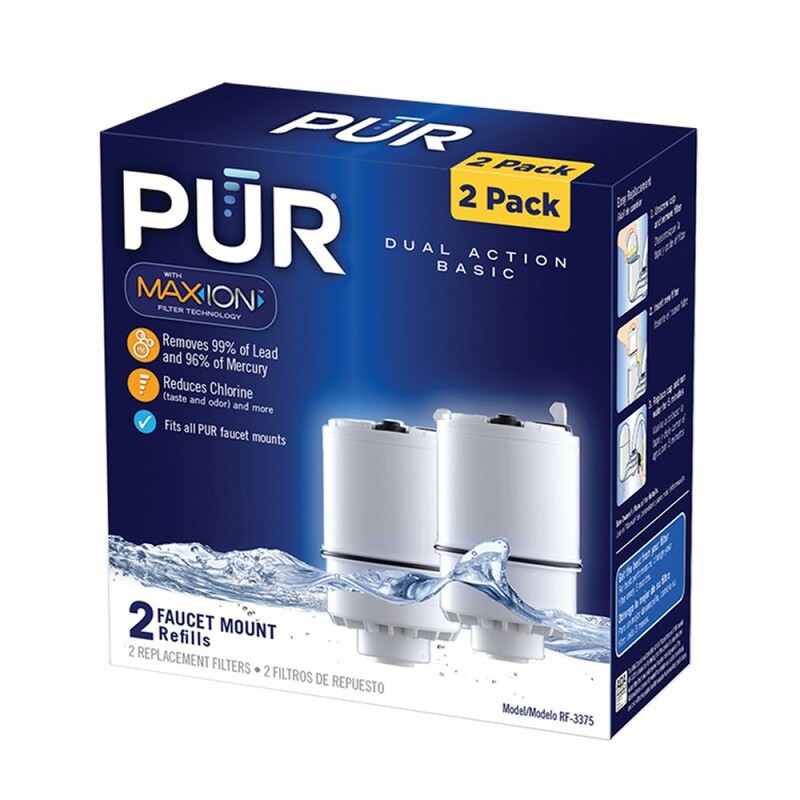 Enjoy healthy, clean water from your kitchen or bathroom faucet with the PUR Classic Clear RF-3375-2PK replacement filter cartridge. The RF-3375-2PK faucet filter fits all PUR faucet systems including new Flavor Options models. Quick and easy cartridge change allows you to have cleaner, better tasting water with zero hassle. 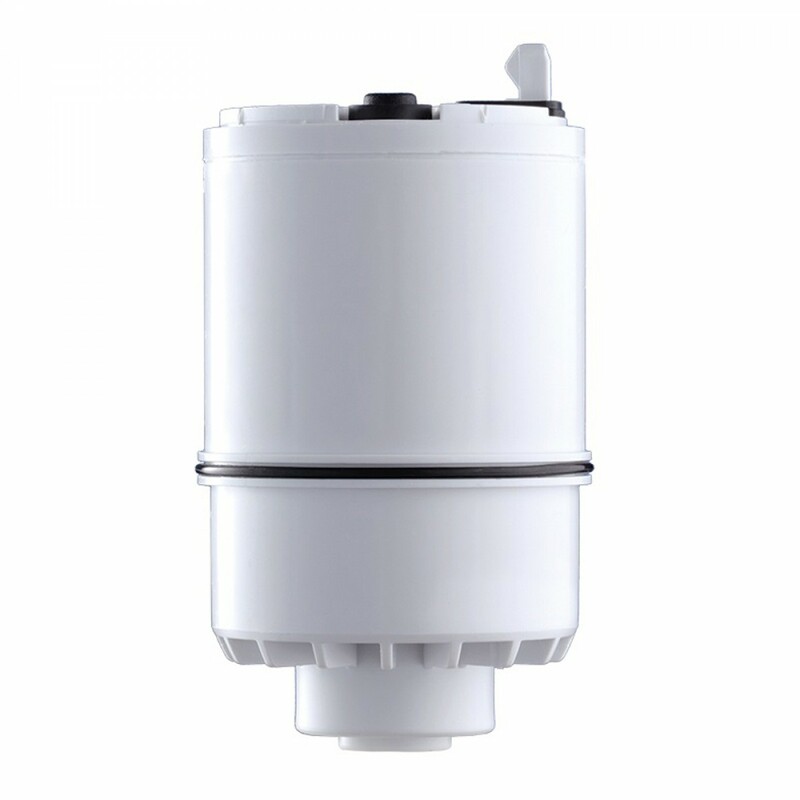 The PUR RF-3375-2PK faucet filter is certified to meet NSF Standards 42 & 53 for contaminant reduction. 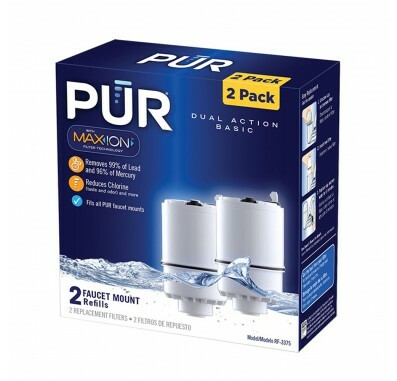 The PUR 2-Stage Vertical Faucet Filter Replacement Cartridge fits all PUR faucet mount systems including Flavor Options. Quick and easy cartridge change. Optimal filtration for great tasting drinking water. Convenient 2-pack for more savings. 1. Unscrew cap and remove filter. 3. Replace cap and run water for 5 minutes.